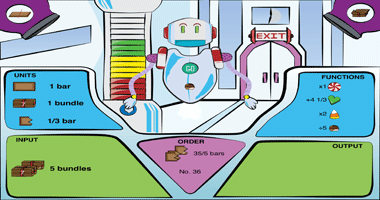 CandyBot is an educational game designed to support students’ learning about fractions and functions. 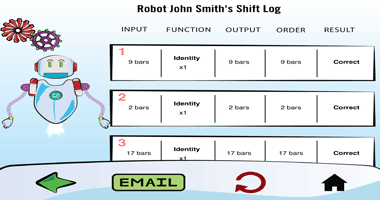 Players program a robot by creating functions. 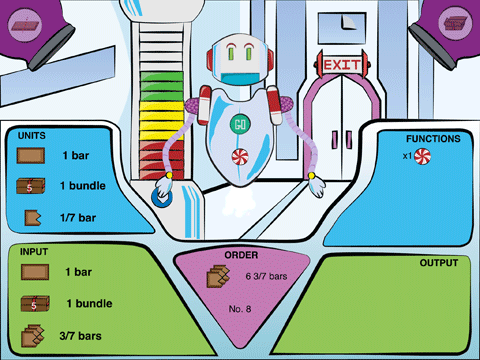 The main goal of the game is to train the robot to efficiently satisfy customer orders for candy bars—orders that include improper fractions and mixed numbers. 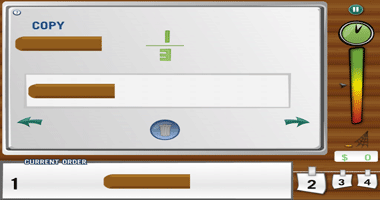 CandyBot should help students learn to use symbols to represent functions that transform inputs into desired outputs. 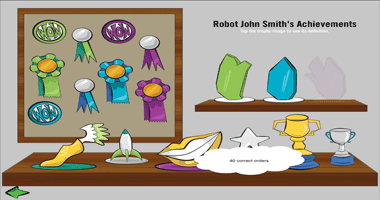 CandyBot is third in a series of transformative apps designed to enhance mathematics education for middle school students. 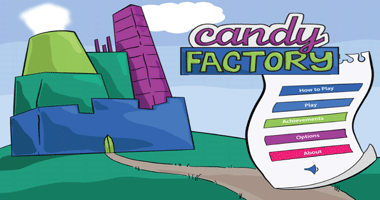 The first in the series, CandyFactory, focuses on understanding and manipulating fractions. 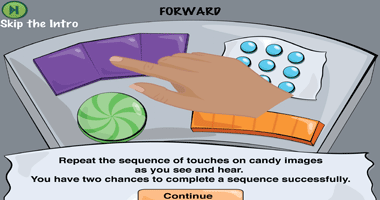 The second in the series, CandyDepot, focuses on a critical pre-algebraic mental activity referred to as units coordination. CandyBot focuses more directly on algebraic reasoning, especially students’ understanding of functions. 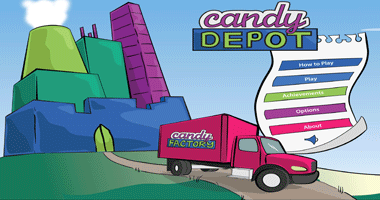 This new game invites players to automatize work done at the CandyFactory and the CandyDepot by programming a robot. 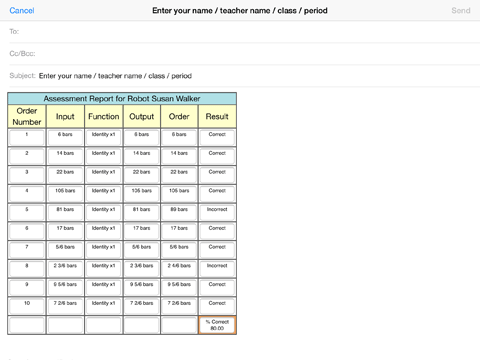 CandyBot can be used as a class activity for students. Once students download the game, it can be played anywhere—even in areas lacking an Internet connection. 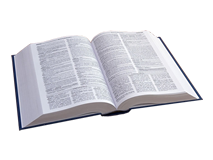 It is expected that players will be able to complete the entire game in approximately 1-2 hours, should they choose to play end-to-end. 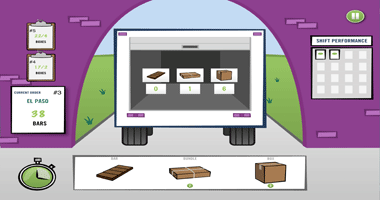 However, players can continue playing the game to find more and more sophisticated solutions. Each time the player initiates the game, new orders are generated to prevent redundancy and maintain a prescribed level of challenge. Upon entering the CandyBot, the benevolent President Carmelo fast tracks you for promotion. She informs you that you are now responsible for automating production on the CandyFactory and CandyDepot floors by programming a personalized robot. To be successful, you must program the robot to slice and bundle various units to complete a wider and wider array of customer orders. 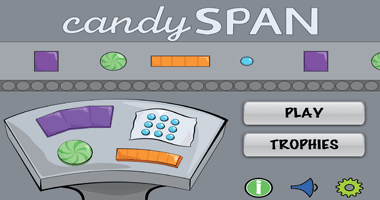 CandyBot incorporates slicing and bundling to mediate partitioning and iterating actions. CandyBot involves coordinating various kinds of units, including composite units and unit fractions. 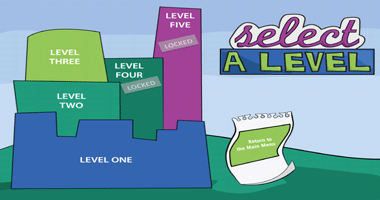 Game play is enhanced through the use of achievements to encourage students to replay until they master related concepts. 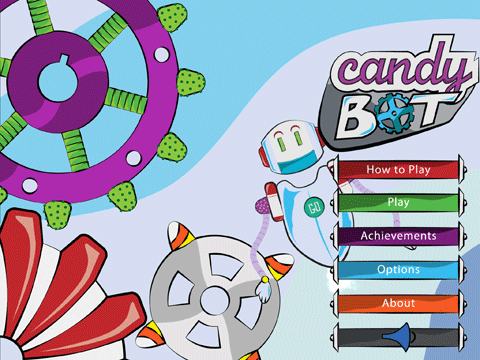 CandyBot features a colorful interface with large gaming elements to enhance game interaction. 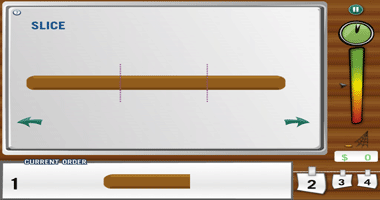 Simple game gestures (physics) are incorporated in an effort to satisfy universal design considerations. 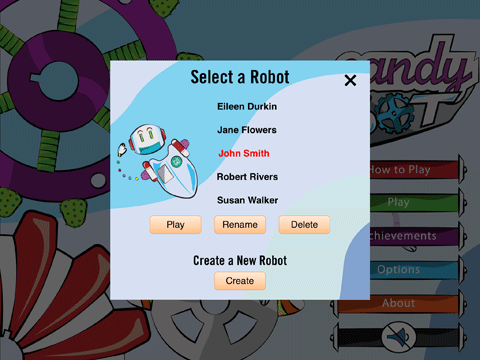 CandyBot Educational Game for iPad is available for download free of charge from the Apple App Store. Click here to see its iTunes Preview. VirginiaFirst.com | Nexstar Broadcasting, Inc.